June | 2010 | Another Beautiful Day in Paradise! Part of the “excitement” of owning a pool is to discover what I might find it on any given morning. It is long established that I can tell the time of the year by the plant material there. Pine needles, live oak leaves, pine pollen and oak seed pods all have their seasons. This week I found this little guy. 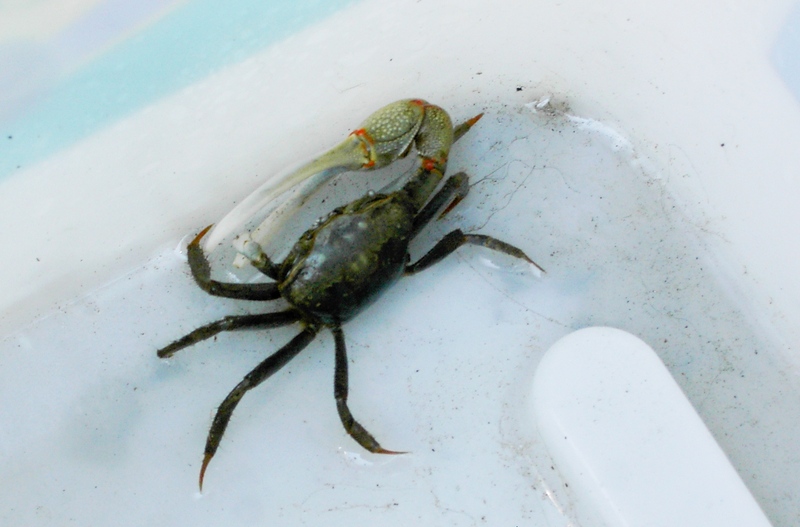 A fiddler crab is no big deal around here, but I am mystified how he got there. It is nearly a mile from any habitat that would support him. That’s a long way to hike for a dip in chlorinated water. 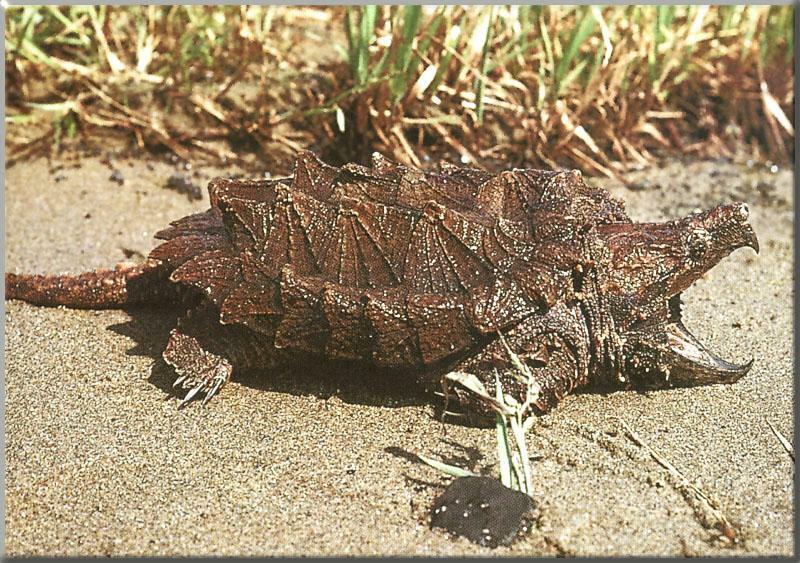 The biggest excitement came several years ago when I walked out on a Saturday morning to find a very large alligator snapping turtle in the pool. This picture is not of MY turtle, but it does represent how attractive he was. If you are not familiar with the species, you should know that they are not nice, cuddly creatures. They are mean. I took my pool net and chased the sucker all over the pool. He was not interested in being caught. Eventually, I was able to get under him and flip him up onto the pool deck He was a big one, with a carapace (shell) a good 15-18 inches across. My plan was to use a cardboard box to carry him down the road to a pond. I went to pick him up with my hands on either side of the shell. I expected him to just pull back into the shell and let me do it. Wrong! He stuck is VERY long neck out and came back across the back of the shell to get a piece of me. Mrs. Poolman was watching all this out the kitchen window. I yelled for her to come and help. She shook her head “no” so violently, I think she wrenched her neck. I eventually got the turtle into a box and down the road to the pond with no further damage. I am certain the turtle did not appreciate the life-saving favor I had done for him. Ingrate! I am one of the legions of Americans who just don’t get why anyone would want to spend their time watching soccer. I understand it’s a great game to play, but it is deadly dull to watch. Compare it to basketball, for instance. Imagine an NBA final in which the players played for 90 minutes. Almost every possession resulted in a turnover. The two teams combined took only eight or nine shots, and only three of them were good. The fans would be throwing hot dogs onto the court and be leaving in droves. But that pretty much describes a typical World Cup soccer match. My friend, Craig, says he loves to watch the skills of the tremendous athletes and the amazing things they do with the ball. 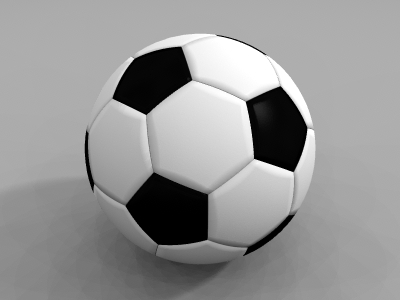 From watching the game on Saturday, it seems that the most of the time, the amazing athletes were just turning the ball over to the other team. I do have some suggestions to improve the sport, like anyone cares about my opinion. 1.) Enlarge the size of the goals. 3.) Install a shot clock. Don’t hold your breath waiting for it to happen, just like you shouldn’t hold your breath waiting for someone to score a goal. We lost our across-the-street neighbors this week. Actually, they have been lost for awhile. The couple is in the process of getting a divorce; the wife and daughter moved out several months ago. Apparently neither party paid the mortgage so the bank stepped in and foreclosed. What a mess! This was not a pretty, amicable split. This was more of a “Come around here again and I’ll call the police” break-up. I remember a St Patrick’s Day evening about two years ago. A storm had knocked out power in our section of town, so we were sitting around the candle-lit house. There was a knock at the door and the wife, “Joan”, practically fell through the door. She was quite drunk and her clothes were askew. She said that her husband, “Sam,” had hit her. Mrs. Poolman tended to Joan, while I went to find Sam, who was also quite drunk. He denied hitting Joan and said she was the one hitting him until he pushed her away and she fell down. The “discussion” flowed back and forth across the street. Eventually, Sam’s mom and step-dad showed up, along with Sam and Joan’s 11-year old daughter. We all tried to get Sam to go home with his Mom, just to get the fighting couple separated until they sobered up. Sam went back to his bedroom; got into bed; and refused to budge while his mother screamed at him. In the middle of all this, a major thunderstorm broke out. I have jokingly described the entire episode as a Jerry Springer Show stuck in the middle of a Stephen King novel. I don’t feel terribly sorry for the couple. They made their own bed. However, I do feel for their now-13 year old daughter. She deserves better than that. Our hope now is the house moves quickly, and we get a good set of neighbors across the street. Fingers crossed. Over the past two weeks I finished two more books that were well outside of my usual subject matter. I typically go for adventures, thrillers, military or history. When I step out of my usual subject areas and enjoy the book, it must be pretty good. 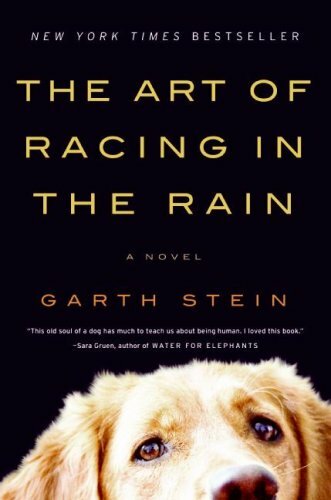 The first is The Art of Racing in the Rain by Garth Stein. The story focuses on the tumultuous domestic life of semi-pro race driver Denny Swift. His ups and downs are almost two steep to be believable, and he does some things so stupid you want to reach into the book and slap him “up da sida da head.” However, the saving grace of the book is the story is told in the first person, by Denny’s dog, Enzo. He is quite a character — with the soul of a human and forever frustrated by his lack of opposable thumbs and his inability to speak. He actually looks forward to the end of his dog-life, because he is certain he will be reborn as a human. Enzo’s observations on his master’s turmoils are both insightful and hilarious. You will want to strangle Denny, but you’ll love Enzo. 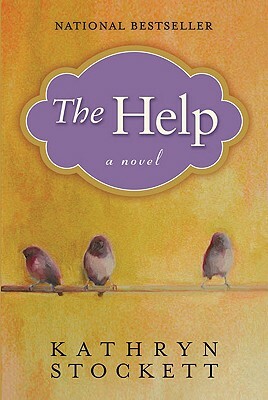 Mrs. Poolman recommended “The Help” by Kathering Stockett, although she warned me it might be “too chicky” for my tastes. She was partially right, but the story is good enough to overcome the chicky-factor. The story is set in Jackson, Mississippi in the early 1960s. It is also told in the first person by “Skeeter” a young Ole Miss grad who wants to be a writer, and two African-American maids, aka “The Help.” Skeeter convinces several of the maids to help her write a book about their lives as black domestic help in pre-civil rights Mississippi. If “The Help” had been published in the time the story was set, it probably would have been considered shocking. Nearly 50 years later, much of the intensity of the social issues is now history. The draw to the book is not so much in the plot as in the characters. The two maids, Aibileen and Minnie are great. For much of the book, Minnie worries about a “great terrible awful” she has perpetrated on one of her former employers. 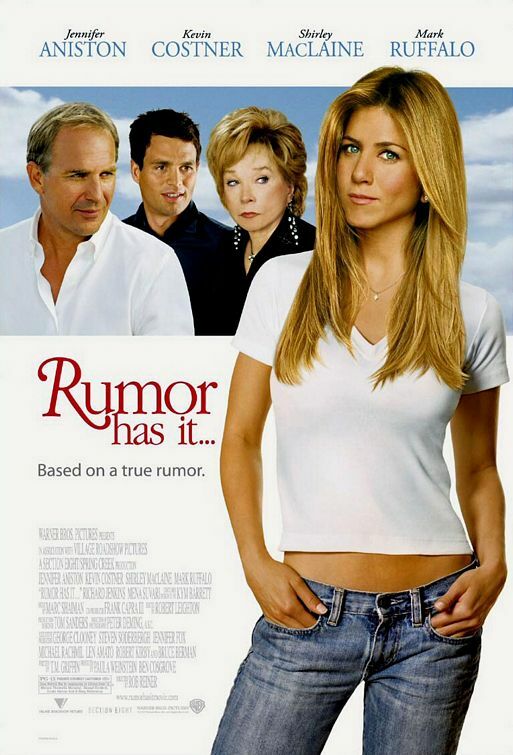 When you find out what she actually did, you’ll want to cheer. This is Stockett’s first novel, and she has room to improve. Skeeter’s primary antagonist, Hilly, her former college roommate, is overdrawn. She is viciously mean and vindictive, but still manages to be able to order her contemporaries to do whatever she tells them. And Stockett throws a major illness at another key character that adds nothing to the plot, and is just distracting. All having been said, however, it is a good read. It’s on the top-ten list this week, and deserves to be there. I’ll be interested to check out Stockett’s next effort. I’ve been off the grid for a couple of days. Mrs. Poolman and I both took a week of vacation. 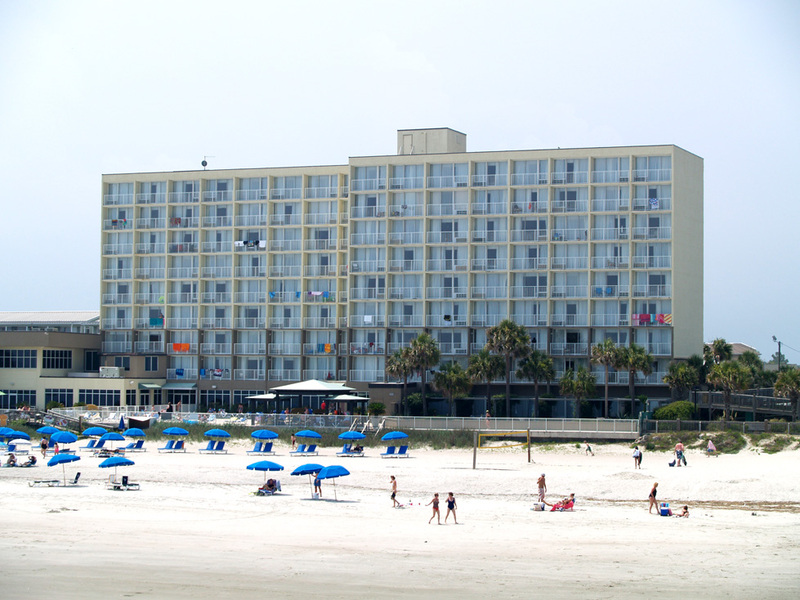 We went up to Folly Beach, SC, near Charleston, and spent several days at the beach-front Holiday Inn. We had a nice time. The only problem is we picked a week when the area is having a record-breaking heat wave. 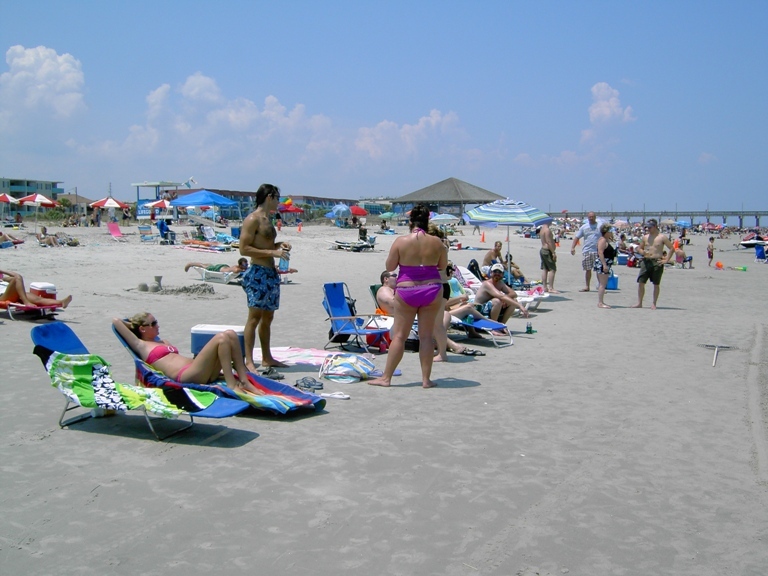 We didn’t spend much time on the beach. It just isn’t that much fun when the temperatures are in the mid 90s and the heat index is 110. 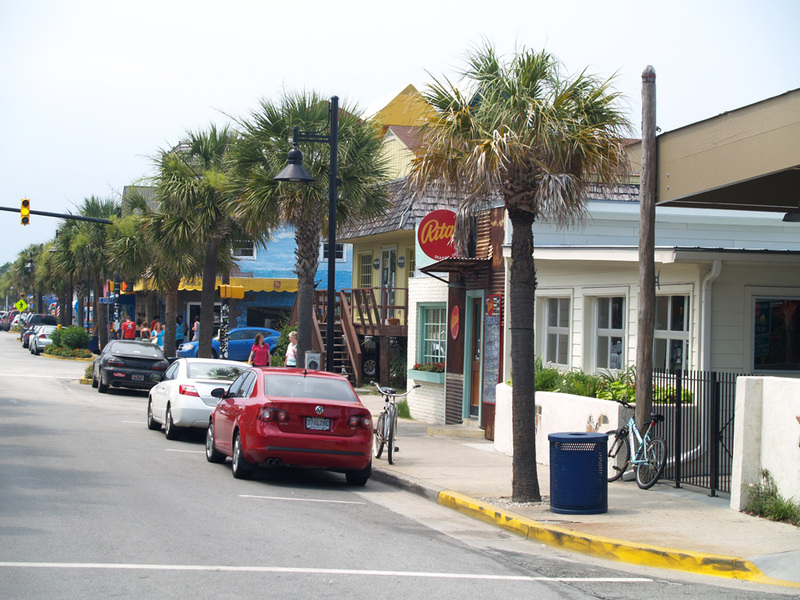 Folly Beach is a funky little beach town. It’s not a high-end resort. It is mostly cottages, surf shops and funky little restaurants. We like that. 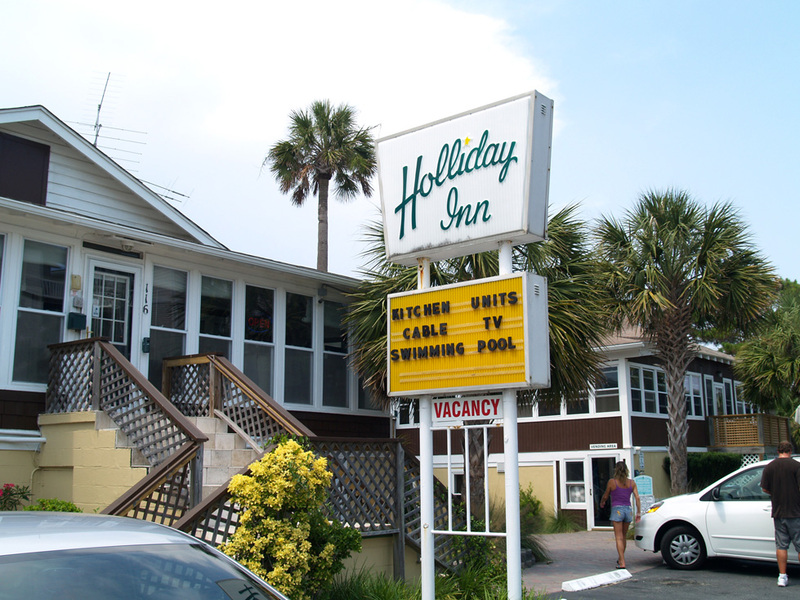 The Holiday Inn is the only serious hotel to be found. However, I did find another little hostelry a couple of blocks away. I wonder if anyone made a reservation expecting to get this. 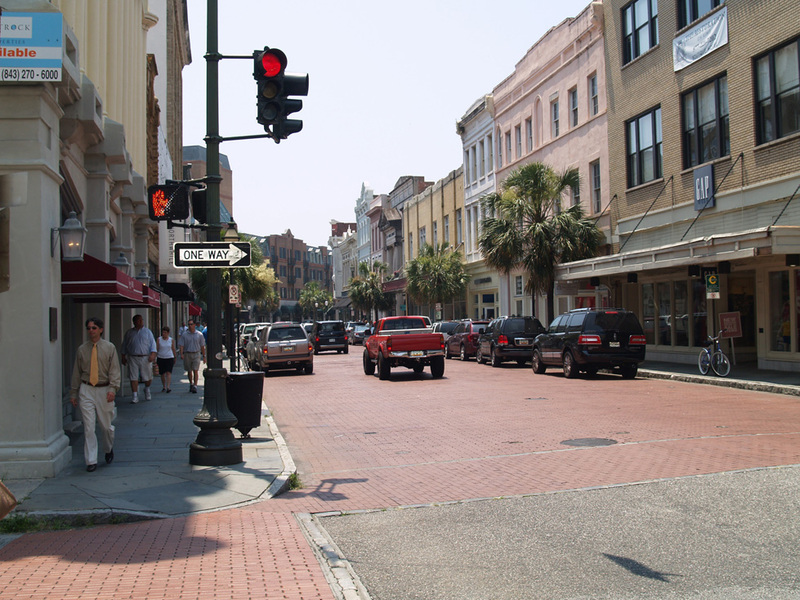 So we visited downtown Charleston and drove through our old neighborhood from when we lived here. That part of town has developed so much, I was afraid I would have trouble finding the right streets. 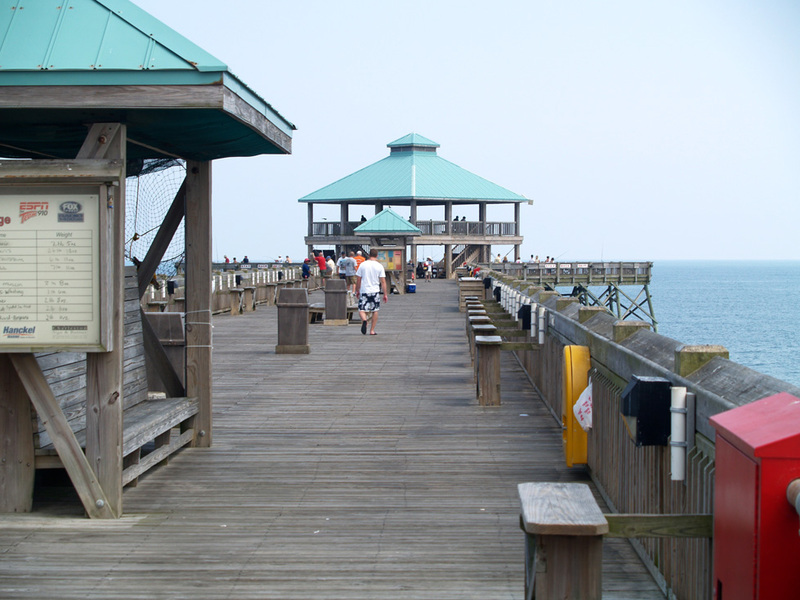 There is a long fishing pier right next to the hotel. We walked out one night and saw the coolest thing. 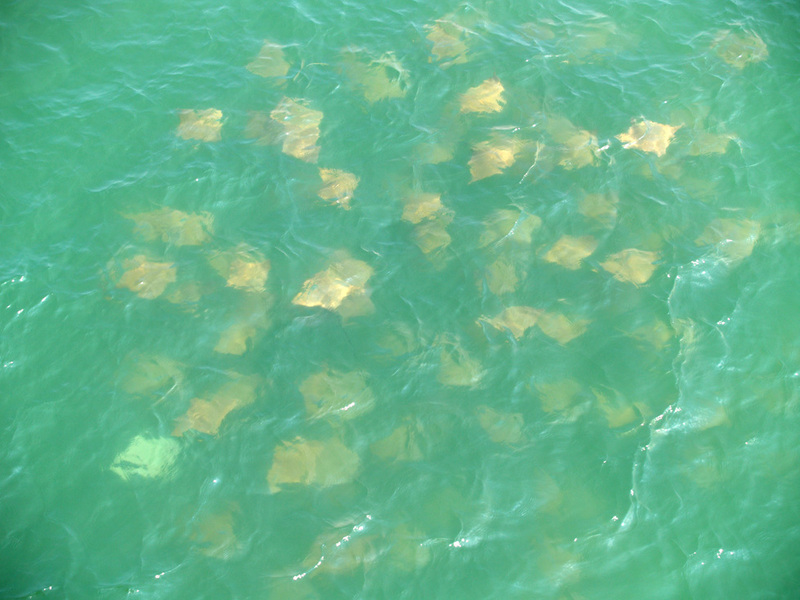 There was a large school of stingrays right near the pier. We went back the next day on the off chance they were still around and they were. The picture isn’t very good, but it gives an idea of the school. We came back on Thursday. I had a state legislator scheduled to visit our campus. That took care of the afternoon. Friday was devoted to work around the house. Mrs. P and I painted the back hallway of our house. What fun! Today is our anniversary. We were going to paint the family room, but decided to put it off for another day. I am reading at mass this evening. Afterwards, we are off for an anniversary dinner downtown. We are going to a restaurant that used to be one of our favorites, but we haven’t been there in years. More to come. 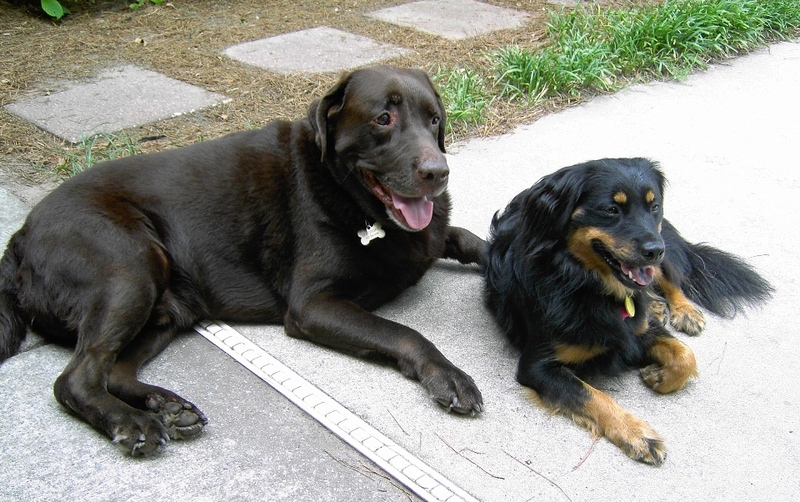 Thanks to my wonderful dogs — not! My hat goes off to all those people who work construction during the summer. I was out in the sun for several hours today, repairing the gate on our wooden privacy fence. The heat just about knocked me out. I am definitely glad I don’t have to do that every day. The repair work was needed because of our escape-artist dogs, especially the little one, Sammie. Actually Sammie doesn’t have the size to do all the work herself. I think she enlists her big brother, Casey, but there is little doubt that Sammie is the brains behind the caper. Casey does not have the initiative to plan something like this on his own. My previous work has foiled their efforts to escape to the outside world. They have been concentrating on the double gate in our back yard privacy fence. I stopped them from being able to dig under it. 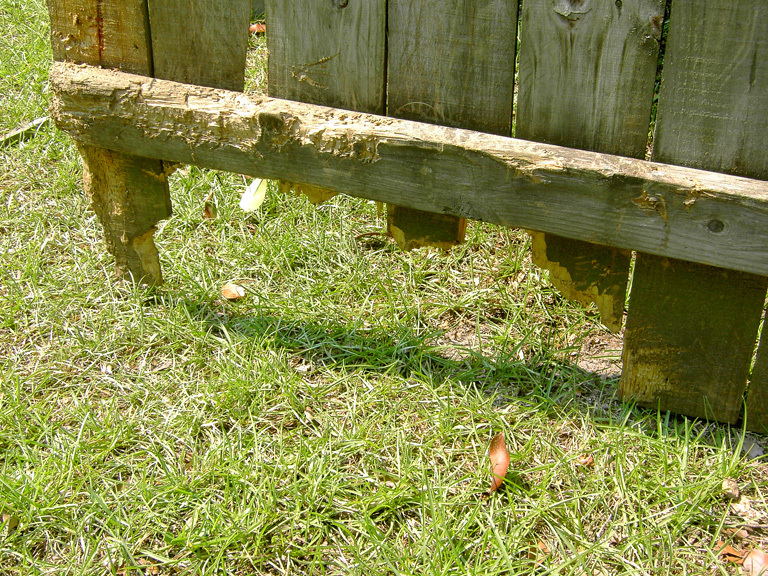 Instead they have been working like little beavers – literally – and have tried to chew their way through the gate. This is the result. Before you start feeling too sorry for the mutts, please understand they are not closely confined. They have the run of a very large backyard, lots of shade and water, and access to the garage through a pet door. Aside from the fact they don’t have air conditioning, they don’t have it very tough. The alternative would be to keep them crated in the house for ten and a half hours a day, and I suspect they wouldn’t like that very much either. They are relegated to the yard only the three days a week that Mrs. Poolman works. Otherwise they are house-dogs, spoiled brat house-dogs at that. 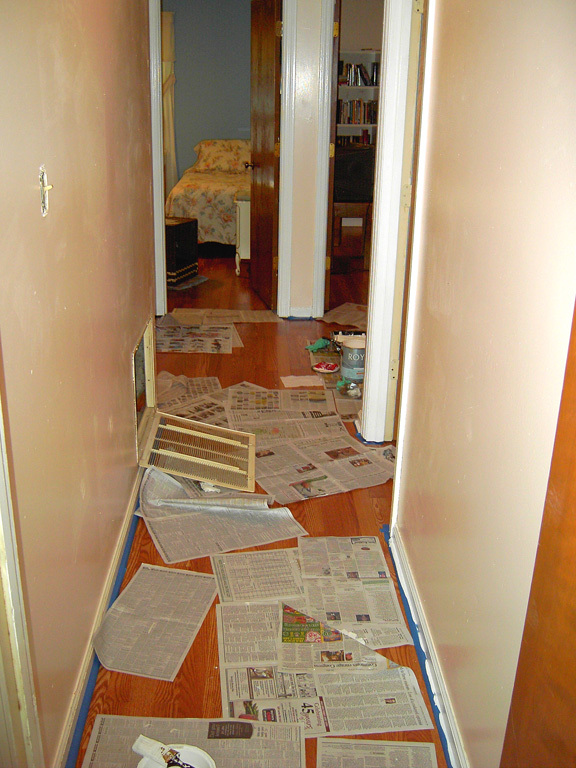 So I spent about $60 at Home Depot on supplies and four hours in the hot sun today, replacing the chewed boards. The tough and time consuming part were the two boards on either side of the gate opening that hold the hardware. It probably shouldn’t have taken that long, if I actually was good at doing this kind of thing. Plus, I had to take breaks to cool-off myself, and many of the tools that simply became too hot to handle when left in the sun. 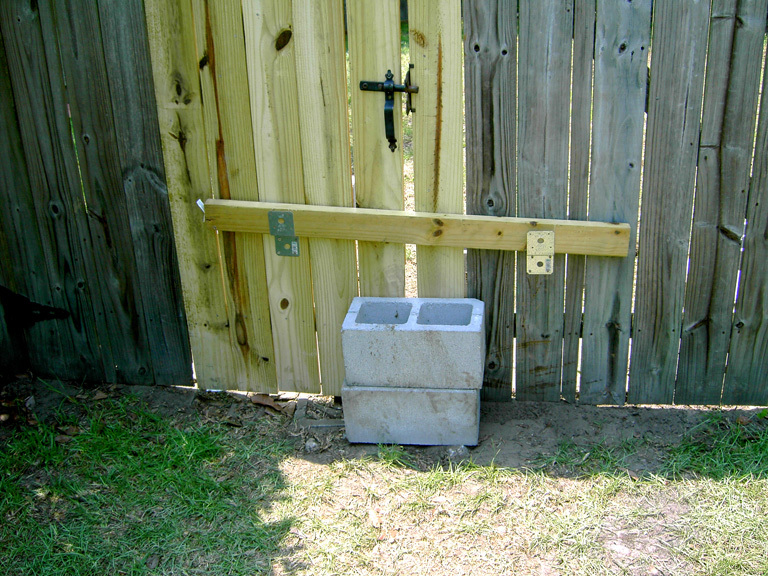 I topped it off with my own touch, a pair of brackets and a 2×4 holding the gate shut from the outside. I stacked concrete blocks on the inside to deny them access to the gate. 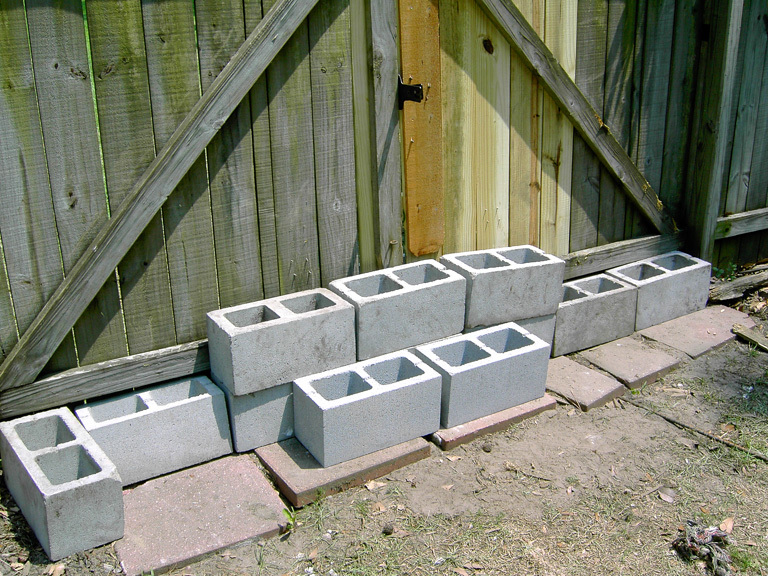 They have been able to move the blocks in the past, but maybe two rows both vertically and horizontally will help thwart their escape attempts. I spent the rest of the afternoon floating in the pool and relaxing on the patio. It was a rest well earned, thank you very much.